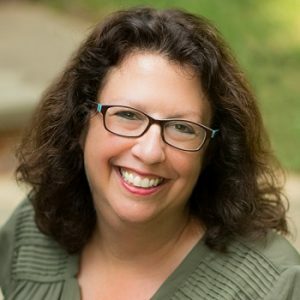 I am a licensed and certified speech-language pathologist, technology consultant, private speech therapist, mother of four wonderful young adults and the founder of Innovative Speech Therapy. My passion is to do all that I can to help families, educators, and therapists address a wide variety of communication, cognitive, literacy, and learning challenges. Over my years as a speech therapist, I’ve worked to fine-tune my uniquely effective approach to therapy and professional development. I believe in empowering individuals, families, and professionals through affordable, cutting-edge technologies that many of us already have in our homes, schools and workplace. Over the past 30+ years, I developed systems, techniques, and strategies to help others speed toward their communication, cognitive, and learning goals. To do this, I combine the use of the latest assistive technology features, online tools, engaging speech and language therapy apps, evidence based speech therapy techniques, inclusive family-centered communication training, and multiple means of support. In addition to providing customized individual sessions, I enjoy speaking at conferences and creating webinars and online tutorials about using engaging and motivating resources to enhance communication and learning. I believe that education should never end, and so I am constantly on the lookout for new, innovative ways to help my clients. I received the “Most Outstanding Contribution to the Field” award from the Maryland Speech-Language-Hearing Association, as well as the “Technovator Award” from MATN (Maryland Assistive Technology Network) sponsored by The Johns Hopkins University School of Education for Technology in Education and the Maryland State Department of Education. I know how important it is that you trust and feel comfortable with the person helping you move forward toward your goals so I offer a free initial phone consultation. My office is in Rockville, Maryland. I am available to travel to you for our visits if you live in the Washington, DC area. If you live further away, perhaps we can meet online. Along with my one-on-one sessions, I also provide video-based courses and often share my techniques through blog posts, online courses, books, and speaking engagements. A native Buffalonian, I grew up in Buffalo, NY and always dreamed of helping people when I “grew up.” In my younger years, I often pretended to be a teacher while playing “school” with my friends. I also felt inspired when helping the elderly, learning languages, and exploring the latest gadget. When people asked what I wanted to do, I thought I would strive to become a pediatrician. When I eventually moved to the Chicago area in 1981 for college, my entire life was transformed. At Northwestern University, I discovered the field of communication disorders and enrolled in an accelerated program to earn both my Bachelor’s and Master’s degree within five years. The field of speech pathology was a natural fit for my varied interests. After graduating with my Master’s degree in Communication Sciences and Disorders in 1986, I moved to the Washington, DC area. I began my work in an inpatient adult rehabilitation setting, providing caregiver support and homecare therapy on the side. Although this was when I first saw the potential of using computers to help stroke survivors who had aphasia and head injury survivors in need of cognitive retraining, I came to realize that the technology just wasn’t there. Online speech therapy at home and the use of affordable assistive technology such as speech recognition software, touch screens and mobile devices that were able to speak aloud were still far in the future. But I never gave up on the idea. A few years later, after moving to Montgomery County, MD with my husband, I found myself becoming disillusioned with the current system of treating speech, language, learning and cognitive disorders. Far too many times, rehabilitation protocols would require me to discharge clients because their insurance “ran out”. Although my interest in the potential benefit of computer technology continued to grow, I was constantly discouraged from using technology to help my clients and students, as other speech therapists and professionals didn’t believe in similar types of treatment. In 1992, I had finally had enough of the old way of doing things. I established Innovative Speech Therapy, a private speech-language pathology practice designed to help clients maximize their progress through the use of technology. As computer technology exploded in the 90s, more and more families were finally able to access the Internet and afford personal computers. The technology was starting to catch up to my vision! Still, there were many challenges. Although the software and computer accessories were now there to help people with cognitive disabilities, speech impediments and loss of language (aphasia), they were all expensive. I invested in all of the best technological tools available and opened up an outpatient center featuring many types of assistive devices and computer software. In the early days of Innovative Speech Therapy, I primarily worked as a speech pathologist with stroke and brain injury survivors, helping them recover their ability to speak, understand, read, write, think and get organized. Soon after, I expanded the scope of the practice to offer speech therapy for children, treating developmental speech and language delays and disorders. As my practice continued to grow, I began working more and more with young adults and professionals who had issues relating to ADHD and executive functioning challenges. I also immersed myself in the treatment of individuals on the Autism spectrum who greatly benefited from using technologies with voice output and engaging activities. Throughout all of this, I kept up with the pace of technological and computer development. The release of the first generation iPad in 2010 was a game-changer for those with communication and learning disabilities. To share my knowledge with other rehabilitation and educational professionals, I self-published my first book in 1997 titled Technology for Communication and Cognitive Treatment: The Clinician’s Guide: A revolutionary approach to enhance treatment outcomes for people with speech, language, learning and cognitive disabilities. 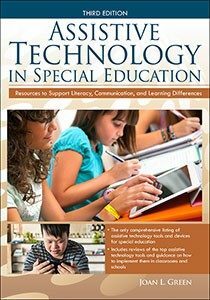 I am currently working on the 3rd edition of my latest book titled, Assistive Technology in Special Education: Resources for Education, Intervention and Rehabilitation. I am also very excited to offer a new affordable resource for just in time (on-demand) learning. Innovative Technology Treatment Solutions is a uniquely effective series of online courses featuring empowering videos to share the step-by-step process I have developed to support families as well as professionals. My goal is to reach out to more people so that those who can benefit the most from this information have an easier way to learn about how to get the most out of the technologies they already have to achieve success! Today, my wonderful husband Mark and I are proud “empty nesters”, with our four children who are off furthering their own educational goals and pursuing their dreams! 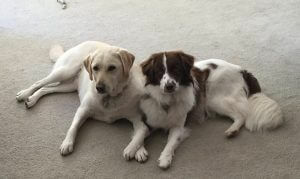 We enjoy staying involved in their lives wherever that may be and playing with Teddie and Cody – our two adorable, loving pups at home in Potomac, MD.